Share this tasty tropical cocktail made with aged 151 Rum. Add all ingredients to a blender with 1 cup of crushed ice. 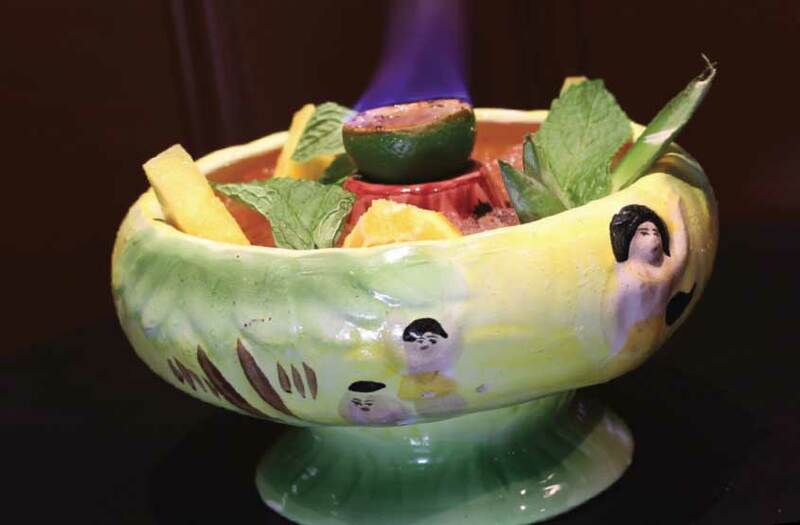 Blend quickly and pour into a Scorpion bowl, or portion out into individual tiki mugs. Add several large ice cubes to bowl or mugs. To garnish, add freshly grated cinnamon, cinnamon sticks, a grapefruit peel or orchids. For a flaming lime shell, invert half of a lime and place in the volcano of a Scorpion bowl, or atop an individual cocktail. Pour in a splash of over-proof rum, and carefully light with a match or a lighter. Be sure to extinguish flaming life shell before attempting a sip.